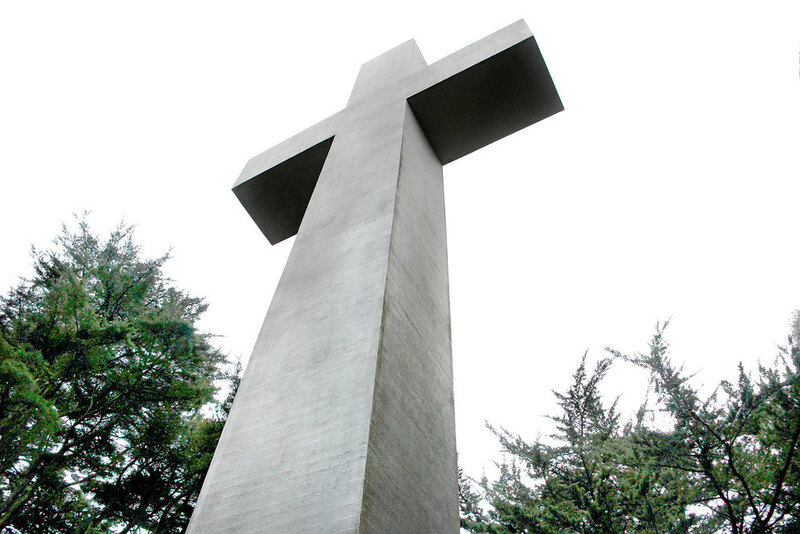 Mount Davidson Cross in San Francisco, California, is 103ft tall, and stands on the highest point in the city by the bay. Completed in 1934, it was constructed to commemorate the early California pioneers. In 1997, it was sold, at auction, for $26,000, to The Council of Armenian American Organizations of Northern California, who installed a bronze plaque at the base, memorializing the victims of the 1915 Armenian genocide. 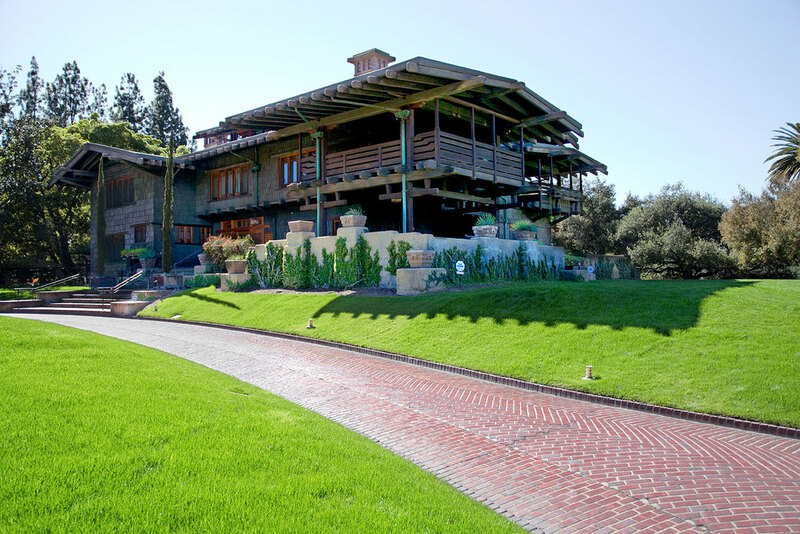 The Gamble House in Pasadena, California, was built as a Winter home for David Gamble, a second generation member of the Proctor and Gamble Company in Cincinnati, and his wife, Mary. The house, and all the furniture within, were designed by architects Greene & Greene, at a total cost of $50,000, at a time when the average wage was just 2 cents per hour. Considered a prime example of the American Craftsmen Style, it stayed within the family until 1966, when it was deeded to the City of Pasadena, and subsequently declared a National Historic landmark in 1977. FDNY Hook and Ladder Company No. 8 has been at 14 North Moore Street, in New York City, since 1904. Originally a double company facility, the building was literally cut in half in 1914, when the width of Varick Street was increased from 70 to 100 feet. In 1916, Fireman John Walsh brought accolades to the already distinguished firehouse, through his daring rescue of factory worker Ida Goldberg; by swinging his scaling ladder "like a pendulum" from an adjoining building, and grabbing her, from a 7th story window, by just her arm! Hook and Ladder No. 8 were also one of the first departments to arrive at the World Trade Center on September 11th 2001. This brings me to the string that will tie these disparate elements together, my guilty pleasure; I love finding locations that were used in movies. It brings out my inner child, and the sense of wonder that a visit to the cinema bestowed upon me as a young boy. Standing at the foot of Mount Davidson Cross, I imagined the tense stand off between Dirty Harry and Scorpio, and indeed "felt lucky". Walking up to the bright red door of Hook and Ladder No. 8, I could hear the strained siren of the Ghostbusters converted ambulance, and knew instantly "who I would call" should there be something strange in my neighborhood. Touring the interior of The Gamble House, my mind conjured up a wild, white haired scientist, and a teenage boy asking why "he'd made a time machine...out of a DeLorean?". It is the little things that give us great pleasure in life, and often, they are a connection to our younger selves, when the world seemed magical, and full of possibilities. The child in all of us is kept alive through such folly, activities that serve no purpose other than to put a smile on your face, and that alone should be worth the indulgence.